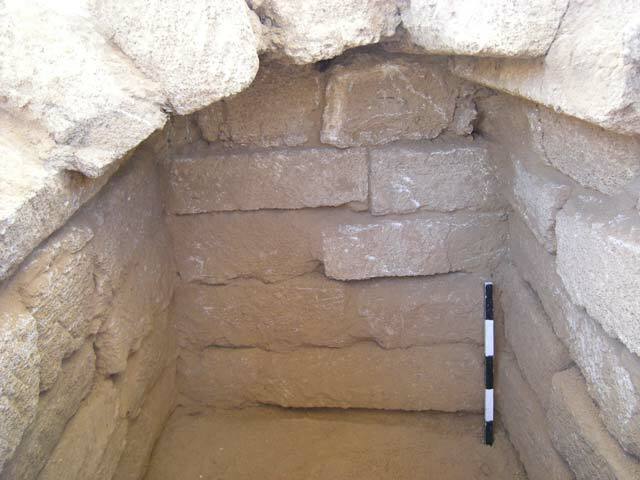 In November 2013, a salvage excavation was conducted south of Tel Ashqelon (Permit No. A-6968; map ref. 156504/618462; Fig. 1), prompted by a robbery of a tomb that had been exposed due to the rains. 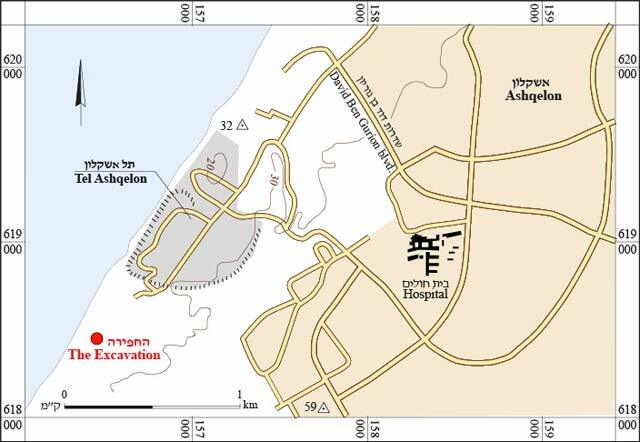 The excavation, undertaken on behalf of the Israel Antiquities Authority and financed by the authority, was directed by S. Ganor (field photography) with the assistance of G. Fitoussi, E. Klein, A. Ganor, S. Gal (drafting), N. Zak (plans), as well as A. Buchnick and L. Cohen (Israel Nature and Parks Authority). 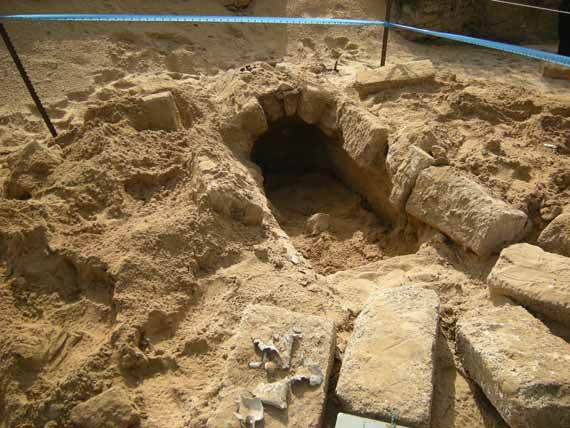 The tomb was exposed in a channel formed when a water-drainage system was diverted while constructing the Newe Yam neighborhood in Ashqelon. The site was formerly part of the town’s cemetery, and obviously contains additional tombs from various periods. Prior to the formation of the modern channel, the cemetery lay buried under sand dunes and soil. The tomb is vaulted, but it was damaged, and most of the vault stones were removed (Fig. 2). 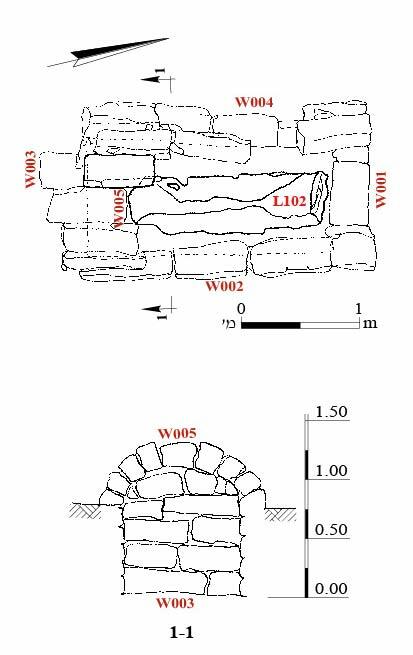 The walls of the structure were preserved along with a lead coffin, despite partial excavation by antiquity robbers. The vaulted tomb is rectangular in plan (1.4 × 2.4 m; Fig. 3), along a general north–south alignment. Its vault was partially preserved on its south side (W005). The vault consisted of six stones positioned on their narrow sides. The structure’s walls (W001–W004; height 0.9 m; Fig. 4) were built of kurkar ashlars (stone dimensions 0.6 × 0.8 m) and were preserved to a height of four courses. A lead coffin (L102; 0.40 × 1.65 m, height 0.45 m; Fig. 5) was set on the natural kurkar in the center of the structure; the walls of the coffin were found folded inward, and its floor got detached from the walls and was retrieved in pieces. The lead coffin is undecorated. Seven drill-holes for nails were found. Five large nails were recovered attached to pieces of wood belonging to a lid that did not survive. Vaulted tombs are known in the southern coastal plain, especially in Ashqelon. 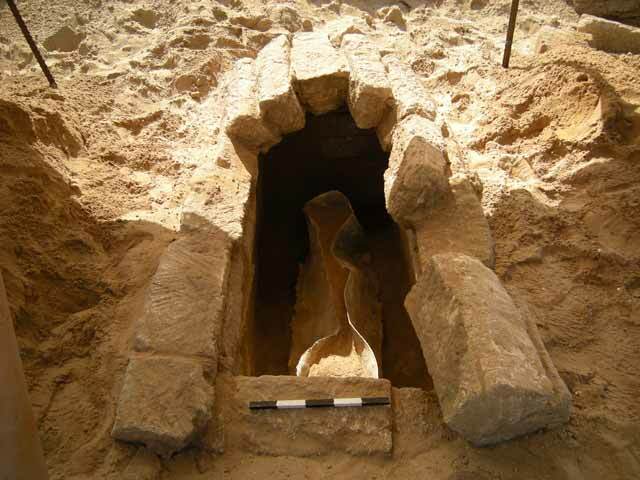 The type of tomb excavated belongs to a family of narrow vaulted tombs that date from the Late Roman period and at times contain a lead coffin. This tomb, along with other known examples, is part of the necropolis that extends along the southern perimeter of Tel Ashqelon. 2. Tomb after the robbery, looking south. 4. Wall 003, looking south. 5. Lead coffin in situ, looking south.